We specialize in a fun, creative outdoors activity, with a valuable take away product: professional Maui family portraits, couples & wedding photography, on the beach (or at a location of your choosing), often at sunset which provides a stunning backdrop for striking, memorable images. For years, our specialty photography has enriched the lives of our clients by capturing special moments on this special island. 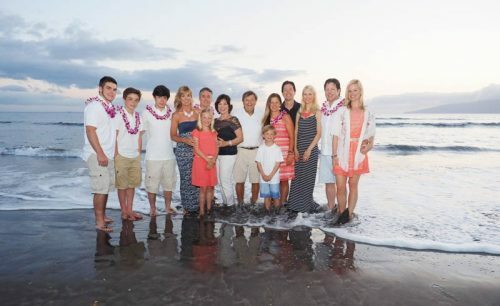 As a family photographer on Maui, many enjoyable family gatherings at the beach have resulted in memorable, keepsake images; and, as a couples and wedding photographer on Maui, many marriage proposals, weddings, honeymoons and anniversaries, have joined with us to produce wonderful stand-out images. 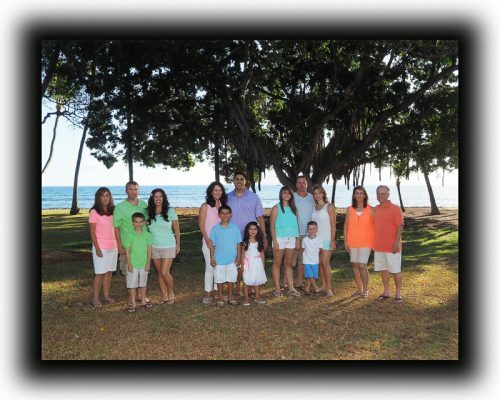 There are many fine wedding and family photographers on Maui, each with their own style, rates and packages. Take a look at ours. We think you will be very pleased with our quality and affordability. Reasonable rates, and a lot of fun…. 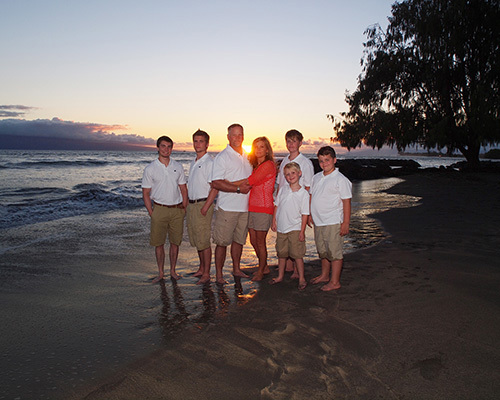 At Maui Island Portraits, we offer a full, complete package. Our reasonable one time all-inclusive fee, listed on the Rates page, covers everything listed on our Services page, from professional photography to precise photo editing. You will receive a CD of well over several dozen beautiful high resolution images, mailed directly to your home and from which you can print any number of images at home or from your favorite store or lab. You have complete printing and sharing rights. In addition, your private online gallery provides an extensive list of printing and social media sharing options. You are not limited to purchasing prints from us but rather can have prints made at your favorite store or lab at cost. We capture those special moments on this tropical island of Maui that you can view, share, print and keep for a lifetime. Take a further look at the gallery pages, blog pages and to get an idea of what you can expect at and from your photo shoot activity. We use some of Maui’s most beautiful locations for our natural setting portrait photography, such as any one of many world class beaches, or parks. 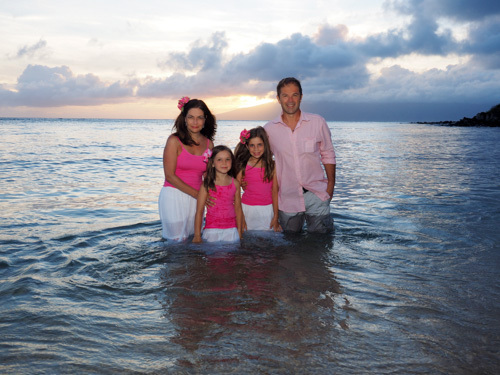 We have served hundreds of satisfied clients visiting Maui. View our testimonials page to get an idea of what our clients have said about our work and their experience with Maui Island Portraits. We also have a Frequently Asked Questions page which may provide you with yet more helpful information. We are available for any type of wedding, honeymoon, and romantic couples photography, as well as senior or corporate portraits, special events or occasions. And, of course, we are available to provide you with our specialty expertise of family beach portraits. Here at Maui Island Portraits, we want to make sure you get quality images you can value for a lifetime, and that the photo shoot activity is fun and enjoyable. You may have special requests, or some specific ideas about what you’d like. We are certainly open to any thoughts you have and would be glad to accommodate you. Of course, if you have no specific requests, we’ve been doing this a long time and quite certain we will present you with a rewarding experience and beautiful pictures you will enjoy viewing for years and years to come. Please feel free to talk about your own personal photo shoot activity; you are welcome to email or call Ken, the photographer at Maui Island Portraits; he is always happy to lay out the details, answer any questions, discuss special requests and reserve a date and time for your own very special personalized photo shoot activity. We look forward to speaking with you about providing you with our specialty: Maui family portraits, couples & wedding photography.